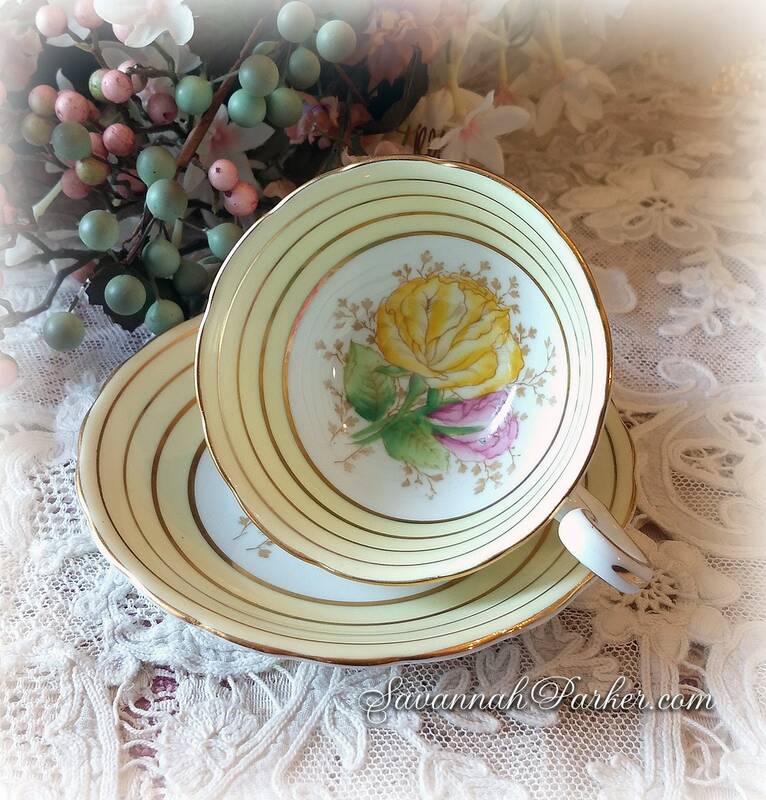 Exquisite vintage, handpainted Victoria C & E English bone china cup and saucer that features wide banding of luscious light lemon yellow with gold gilding, and handpainted floral centers on both pieces. 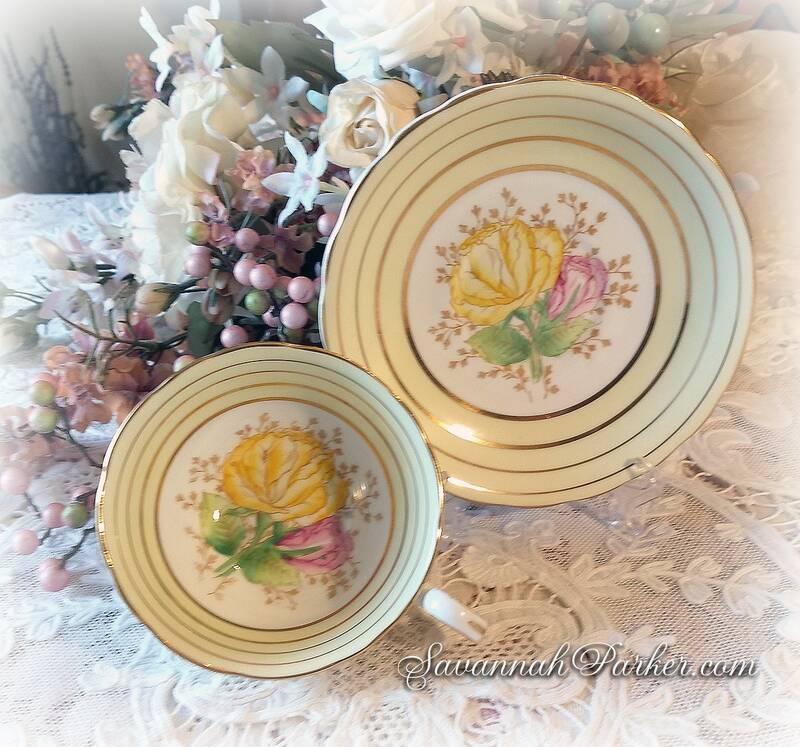 I've now opened my new vintage china section in my shop and this is part of my first group of listings---a mouthwatering collection of ice-cream-pastel colored vintage china and ceramic pieces that go beautifully together---be sure to please view the last photo here for the other wonderful items I have listed elsewhere. 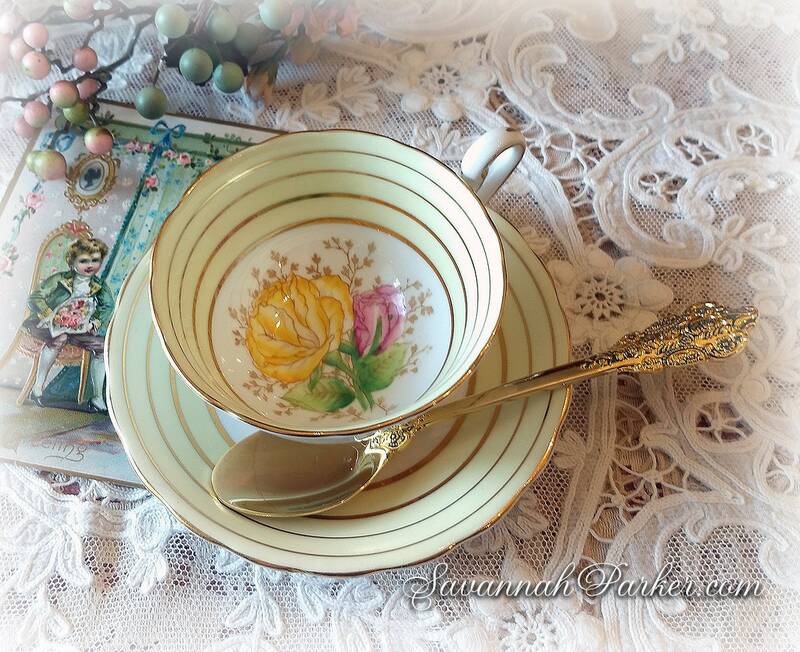 This listing is for the yellow cup & saucer ONLY; photo props, silverware and other items are not included. 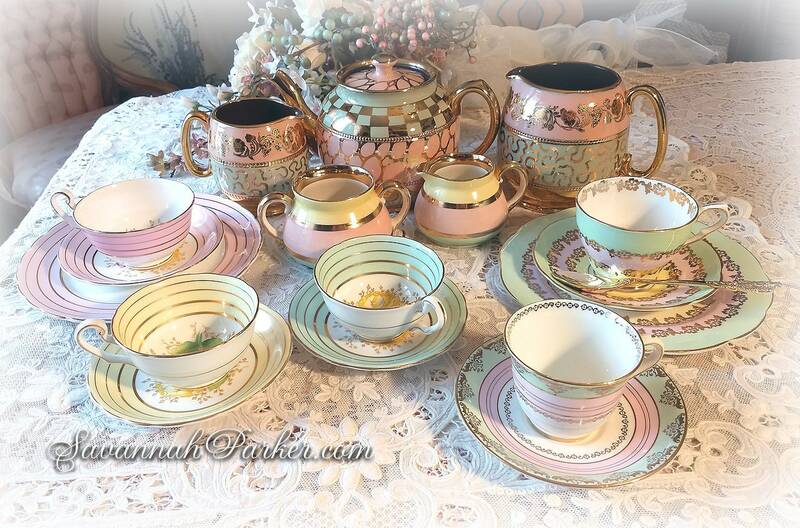 Do check my other listings as well for two other matching Victoria C & E sets in the same pattern but in pink (a 3 pc tea trio) and pale mint green--they look just gorgeous together with this set! 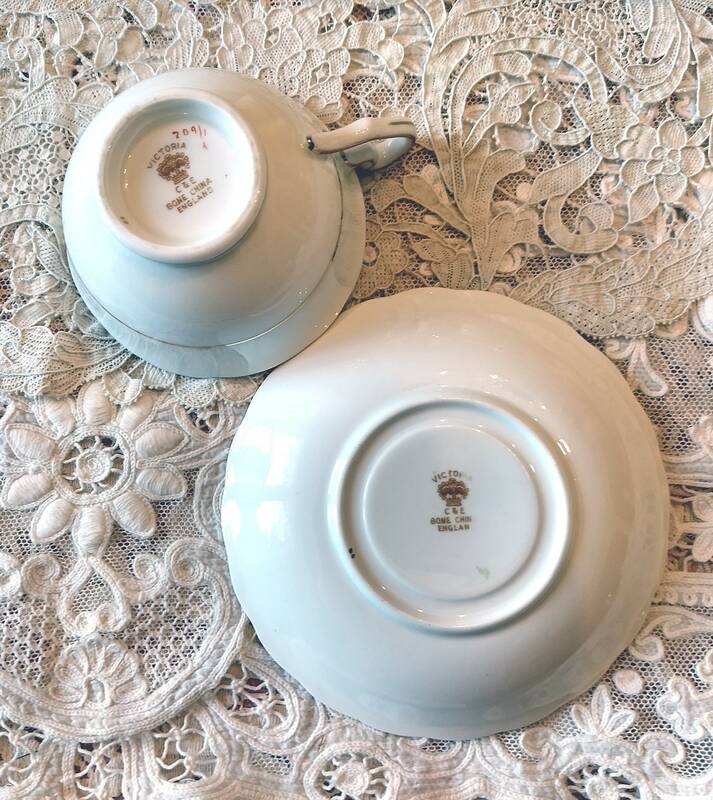 No chips, obvious cracks or any other damages on this beautiful set, however there is a very faint 1/4" scratch/tiny grey line on the saucer--it is not a crack and does not go through, but it is a tiny flaw so I have priced this set accordingly. Otherwise in excellent condition. Gold trimming and handpainted centers are all intact and shiny, doesn't look to have been used much if at all. 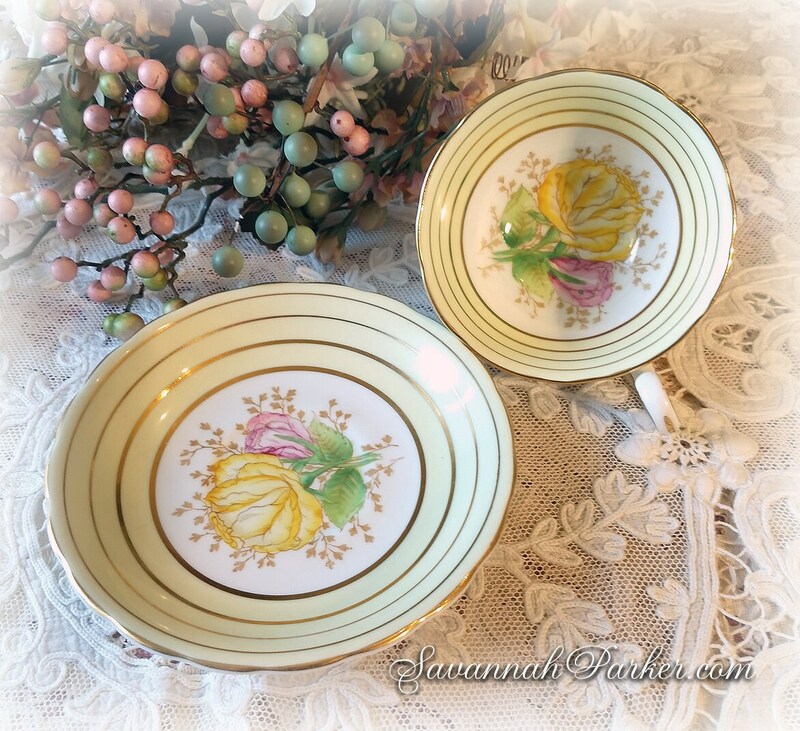 Marked on the bottom Victoria C & E Bone China, England as well as a few painted markings by the artist who handpainted the center designs.